In our ongoing effort to make StogieGuys.com as entertaining and reader-friendly as possible, each Friday we’ll post a sampler of quick cigar news and stogie-related snippets. We call ‘em Friday Samplers. Enjoy. 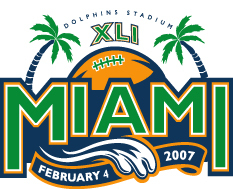 Leave a comment on this article with your prediction of the winner of the Super Bowl XLI, the margin of victory, and the total number of points scored in the game. You should also include your town and state. The reader who correctly predicts the winner and gets closest to the margin of victory gets a fantastic Stogie Guys selected five-pack of handmade cigars! (The exact five cigars are yet to be determined, but we guarantee it will include a four stogie-rated Gurkha Class Regent Torpedo, a Macanudo Robust, and a 5 Vegas.) In the unlikely event of a tie, we’ll use total points as the tiebreaker. Details: You must use a valid email address so we can contact you. Only one entry per person (yes, we can tell). The contest is only open to readers over the age of 18 in the Continental 48 states (sorry, Alaska and Hawaii). Entries must be left by 3pm EST Sunday. 2) And as if announcing the first annual Stogie Guys Super Bowl Contest isn’t enough, today we are also announcing the first Stogie Guys Meetup. On Thursday, February 15, Patrick S and Patrick A will be at cigar-friendly Carpool Bar in Arlington, Virginia (two blocks from the Ballston Metro Station on the DC Metro). We’ll be there from 6:30 to 9 p.m. smoking cigars, eating BBQ, playing pool and darts, and talking stogies. Please join us and your fellow DC-area Stogie Guys. If you’d like to RSVP, send us an email. 3) With all the bad news about smoking bans (including the one that just went into effect in France) we were pleased that one commenter pointed out this article about a successful challenge in Colorado. Now let’s hope others follow suit and challenge these oppressive smoking bans. 4) Since we’re always on the lookout for great deals for you, we are pleased to point you in the direction of this deal from Cuban Crafters. 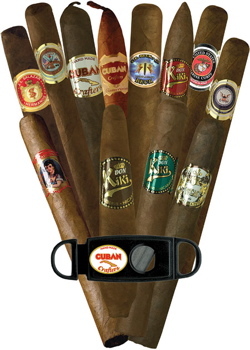 We’ve tried a few of the cigars included in the Cuban Crafters Boutique Sampler, and we are very impressed. At under $20 for 12 handmade cigars (plus a cutter), it’s a bargain you should take advantage of. Click here for the deal. If 2 people are still tied after the total points tiebreaker. Whoever posted their pick first is the winner. Also, remember that your email is not visible. Only we can see it (which is important so we can contact you to send you cigars) and we won't be giving it out to anyone… promise. Bears win by 17… Go Bears! Chicago by 10. 52 total points. Cool idea on the giveaway, guys. I'm in Land O Lakes, FL, a mere 20 minutes from the smoker's Mecca of Ybor City. Much to the horror of my fellow citizens of Baltimore, I am predicting the Colts by 17 with 51 total points scored. As editor in chief of StogieGuys.com, I'm obviously exempt from this contest. For what it's worth, however, I'm picking Da Bearsss by 267 (with 267 total points scored). I'm from Long Island NY. I really don't care who wins, I just want a good game! Colts 38, da Bears 27. Like the Patricks, I'm not eligible for the contest. But my prediction is 55 points total. Colts 24, Bears 31. Wish I could be there for your herf. Smoke a good one for me! The Bears by 7, 58 points total. Sorry for the multiple entries Pat, but my math was a little off in the first one. Great idea guys! Congrats in advance to the winner! Colts win by 14. 70 total points scored. Final Colts 42 – Beares 28.
was sent over here by The Stogie Review. OK OK…My prediction is Bears 27-21.
if you want me you can find me in The A. Great info on your site. Keep up the nice work! Thanks to everyone who entered. The contest is now closed. Статья оставила сложное, даже в какой-то степени неоднозначное, впечатление… Даже не знаю, что сказать… Нужно время, чтобы обдумать прочитанное. Занятно и полезно, а будет еще что-нибудь по этой теме?